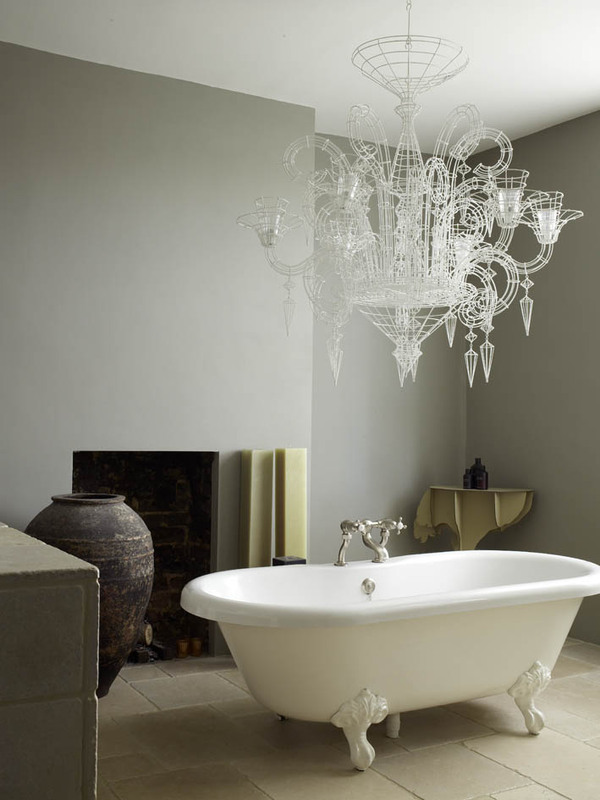 Bathrooms can be quite neglected (mine included) which is a little crazy as they are one of the easiest rooms to decorate. It goes without saying that they should be treated like any other room in the house, softened with items that make them feel homely – an old chair, a basket of logs, scented candles you know the drill. Mine is strangely bland have spent all my time and energy on every other room in the house and yet the one space thatÂ I should relax in is oddly plain as old Jayne. Below are some images to get the pulse racing and whilst I am not a fan of allÂ Â boring they’re not. 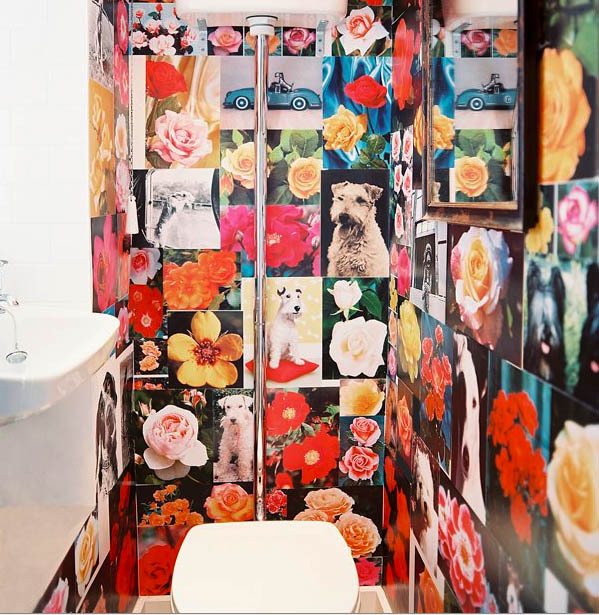 The huge advantage of wallpaper over paint is that you can actually try it out before applying – few tips to remember large patterns will visually reduce the size of your bathroom verticals will draw your eye upward, and make the room feel taller (yay to that) andÂ horizontals will widen it. Regarding moisture well the thicker vinyl coated stuff made especially for bathrooms is the way to go – anything else will quickly degrade in the moist environment. Crazy no? Fun for a loo but even then not really my cup of tea. In principle though I love the idea I just feel that the colours are perhaps too strong I would tone them down a smidge. If you are ever in Paris and need the loo pop into Merci they have done something very similar – its just a little more sophiscated. Now this is more my thing – calm, personal and somewhere I would want to hang out – once I had painted the walls a darker colour that is. This space belongs to Donna Karen need I say more, very beautiful. Here is mine – told you it was dull as ditch water. Soon very soon it will get a girls guide revamp.